A revitalising bath is an experience that everyone loves coming back to during winters. Turn it even more beautiful by introducing the Steamer Plus MS Sleek water heater as a companion. Made aesthetically beautiful to cutting edge technology, this water heater prevents corrosion, thereby prolonging the life of your loved device. The Steamer Plus MS Sleek range is designed to suit your needs. Ergonomically and aesthetically designed with your requirements in mind, our water heaters go well with every bathroom design, to meet your complete bathroom needs. 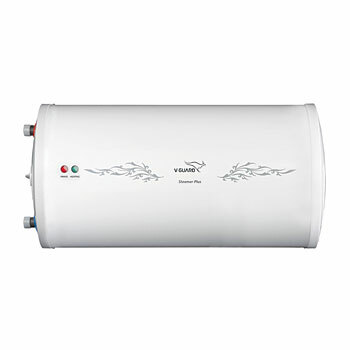 The outer cover of these water heaters is made of rust proof engineered polymer material that comes in an attractive white colour and compliments your bathroom interiors too. 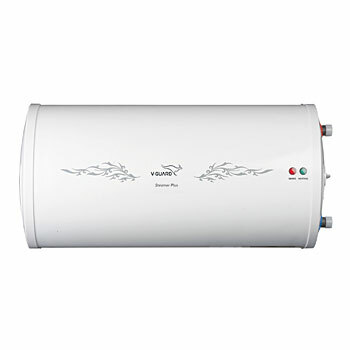 This water heater has a pressure safety valve too which is designed to automatically relieve and discharge water incase the pressure overshoots the preset limits. The non-return valve also allows water flow only in one direction thus preventing dry heating of element. Drain function enables to empty the tank without dismantling the water heater and thus ensures that it serves you efficiently for a longer time. This way, you can have a rejuvenating experience and thank this efficient partner for helping you unwind from a tiring day.